HAPPY SOCIAL JUSTICE WEEK 2013!!!!!! In honor of this amazing week, I will be making various blog posts about the events that will be occurring this week. Today, I’m posting a schedule of the events that are happening! Make sure to RSVP to the events on the Social Justice Week Facebook Page!! If you have any more questions about the events for Social Justice Week, be sure to contact us via the Facebook page, shoot an email to the Saint Rose Spiritual Life Office, or leave a comment here! 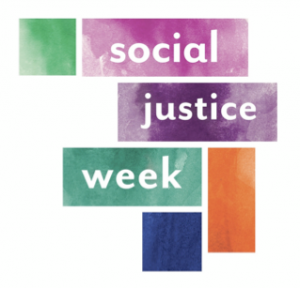 Social Justice Week 2013 at The College of Saint Rose!